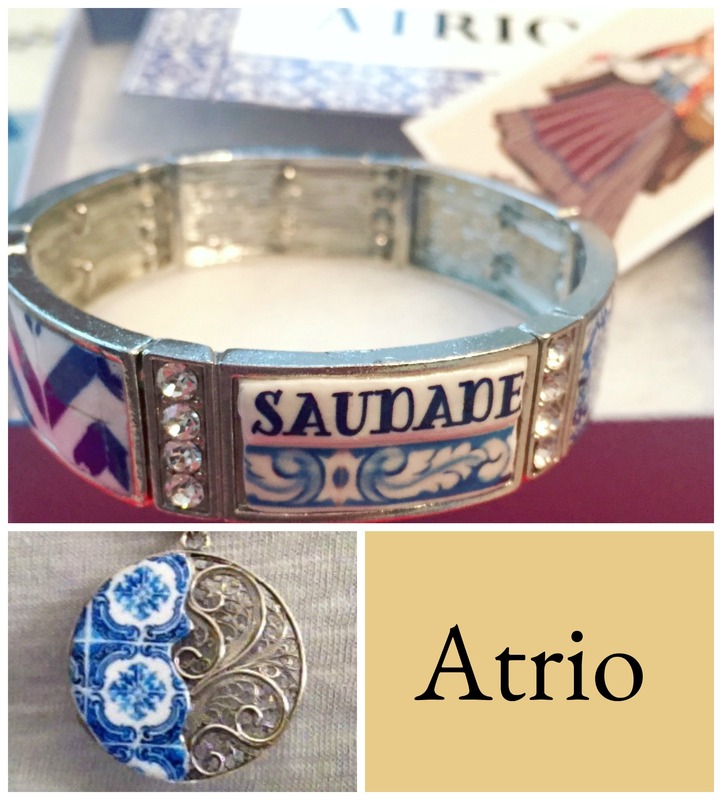 I love the history and beauty of Portugal’s ceramic (azulejo) tiles and when I saw Atrio’s jewelry collection I was overjoyed. 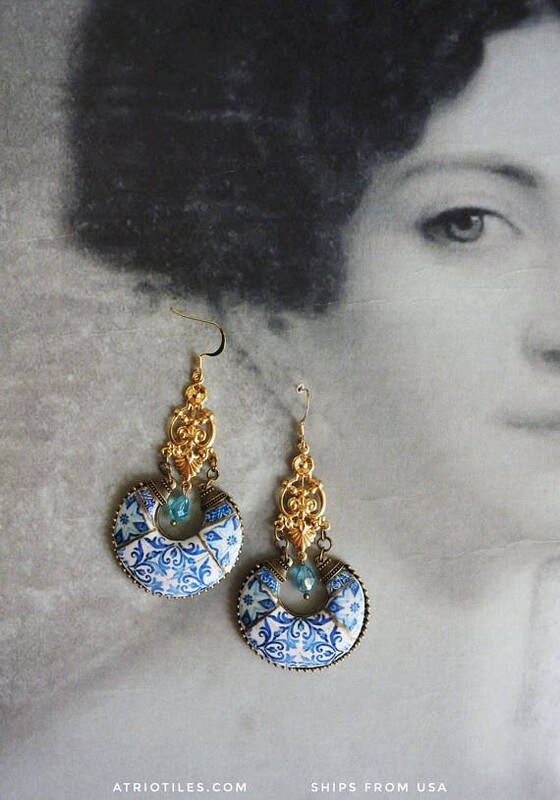 The combination of designing jewelry made with Portugal antique tiles is unique and original. 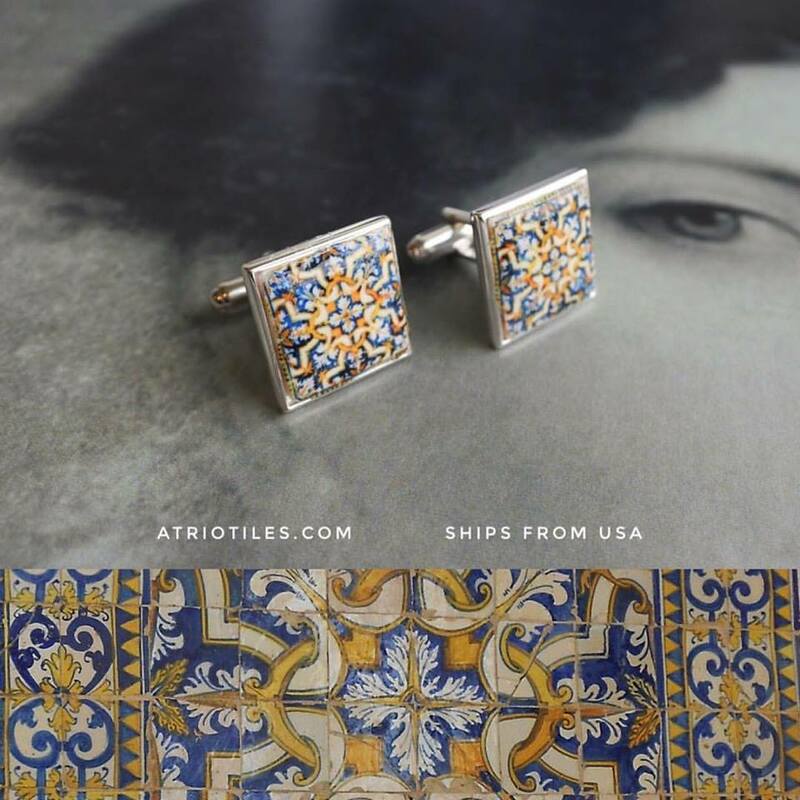 For a history on Portugal azulejos click Here. 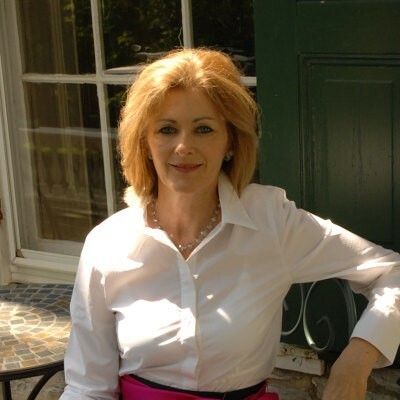 Portugal was home to Elizabeth Anjos and her husband for over 30 years. While there she fell in love with the country and its rich history in azulejo tiles that decorated houses, churches, monasteries, palaces, railroad stations, and restaurants. 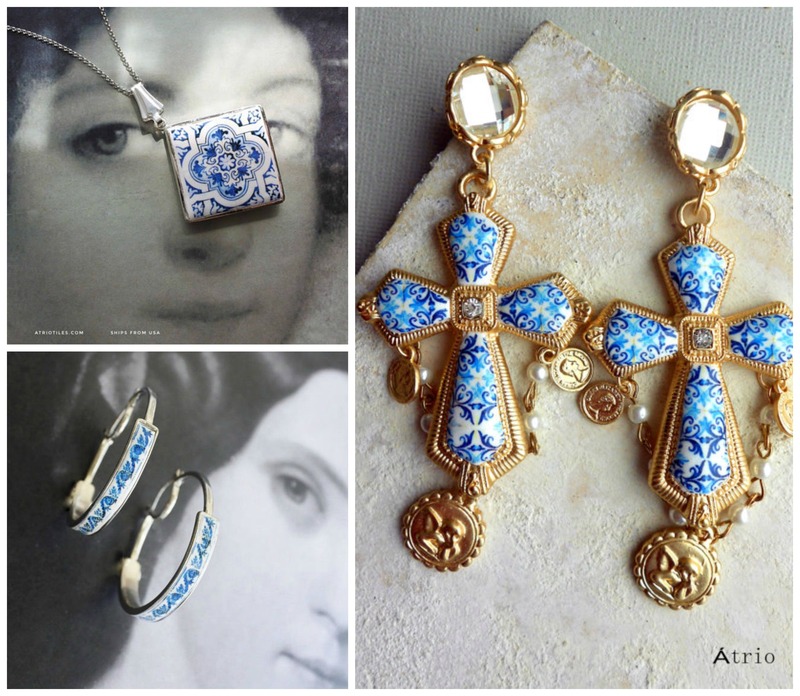 Wanting to share this Portuguese history with others, she began designing jewelry using antique azulejos. As a result Atrio was born. 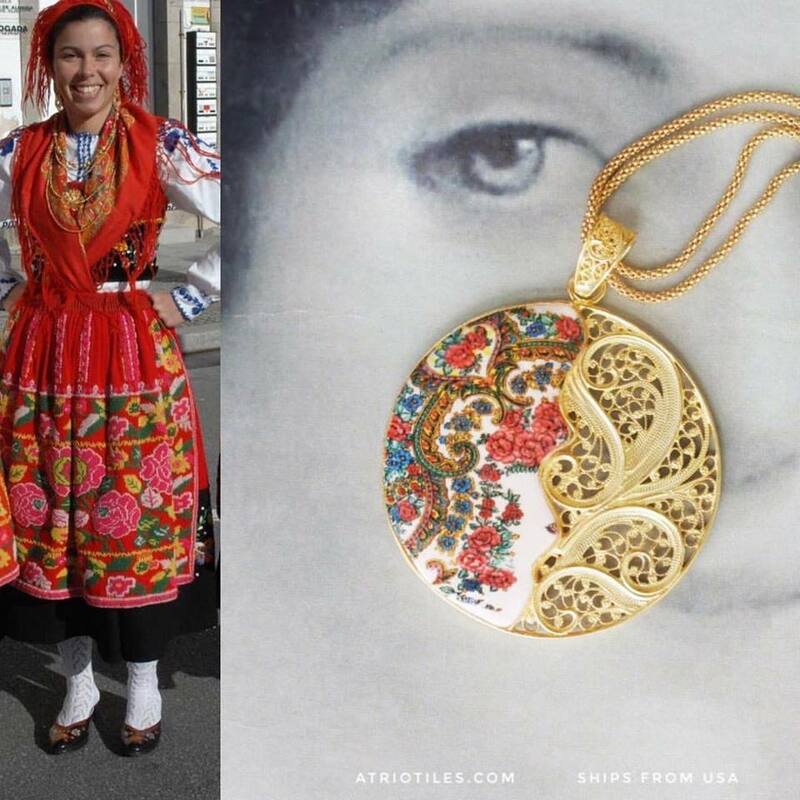 Today she lives in the United States with her husband, who is of Portuguese heritage. 1. When did you realize you wanted to pursue a career as a jewelry designer? Elizabeth (E): The need to create has always been a part of my life. Jewelry designing allows me to work hard and love what I do. 2. Do you have a favourite designer you admire? E: I love Ayala Bar from Israel. 3. How did you start your label? 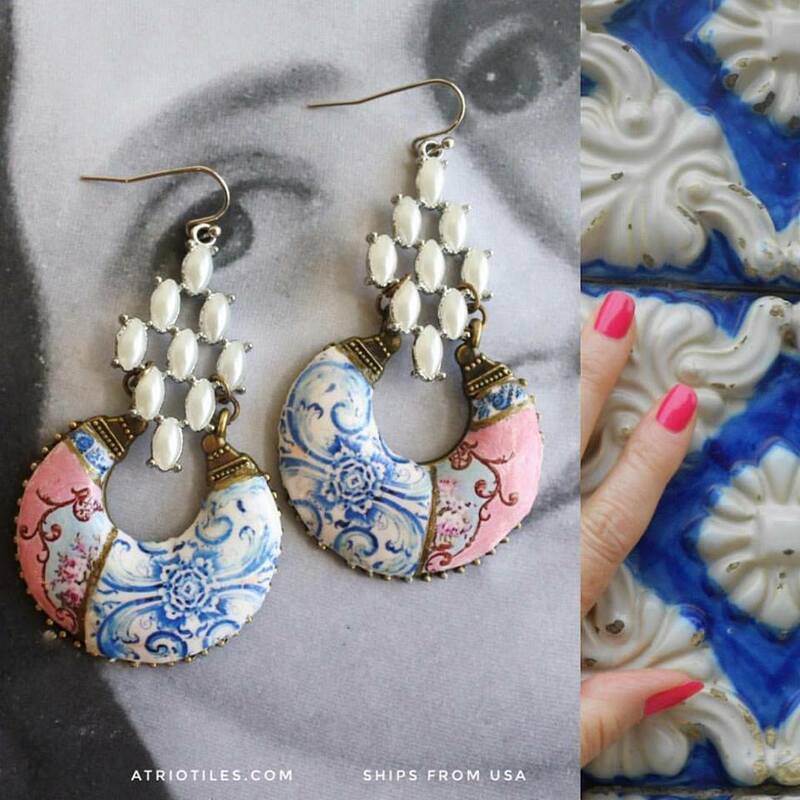 E: While still living in Portugal (we lived there for 33 years), I opened an Etsy shop with my first pieces. For one whole year, I did not have a single sale! My first order was from a lady in the States named Rose. Thank you Rose! 4. What was your inspiration? E: As a foreigner who lived for a very long time in Portugal, I could see the beauty of the country that most people took for granted. For me, the houses with tiles looked like jewels and I wanted to find a way to share them. 5. How do you decide what you want to create? E: Trial and error. Often an idea will come and I will keep working at it until I like the final product. 6. What processes do you use when creating your designs/jewelry pieces? What materials and techniques do you favour? E: I work with polymer clay where the clay actually gets baked right into the setting. Unusual connectors, Czech glass heads, Vintage Micro Mosaic and silver are my favourite finds at the moment. 7. Who do you envision wearing your jewelry? Do you think about this when you work on designs? E: Almost every day I receive an email from someone who just visited Portugal and they would like a “little piece” to remember the country. It gives me great pleasure, not only to make the pieces, but to tell their story. This is the part that takes a huge amount of work, but I believe that the story behind each piece [of jewelry] makes it all the more special. 8. 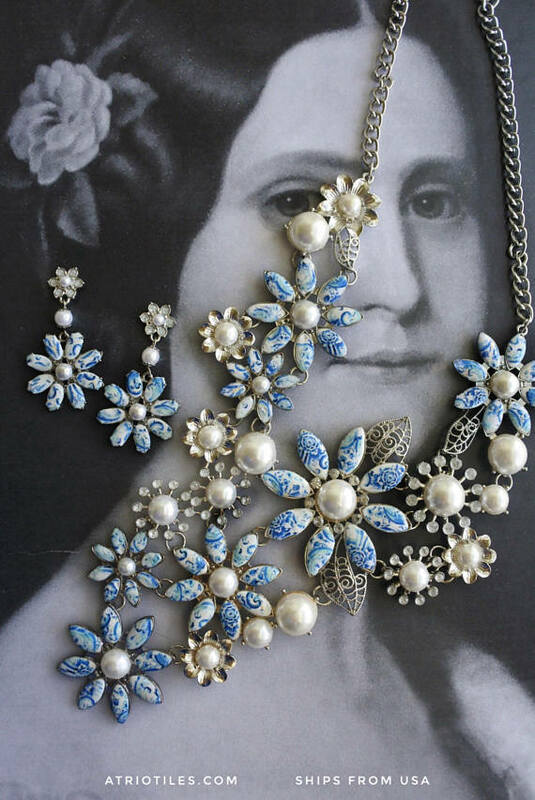 How different is the accessory (jewelry) fashion today from when you started? E: When I began, I never imagined that people would copy me. It can be very discouraging to work for months on an idea, only to see someone copy my ideas. 9. What’s next for Atrio? E: My Great Grandmother came from Sicily and it has always been my dream to go there one day, so there might be some Italian tiles in the mix. Azores is also on the wish list. I believe that God gave me this ability to create and I am so thankful to Him for the privilege of having a job I love and for the connection with the land I love…Portugal. E: I couldn’t do this without the support of my Portuguese husband who is also my photographer. He enjoys the hunt for tiles while on “vacation” as much as I do! 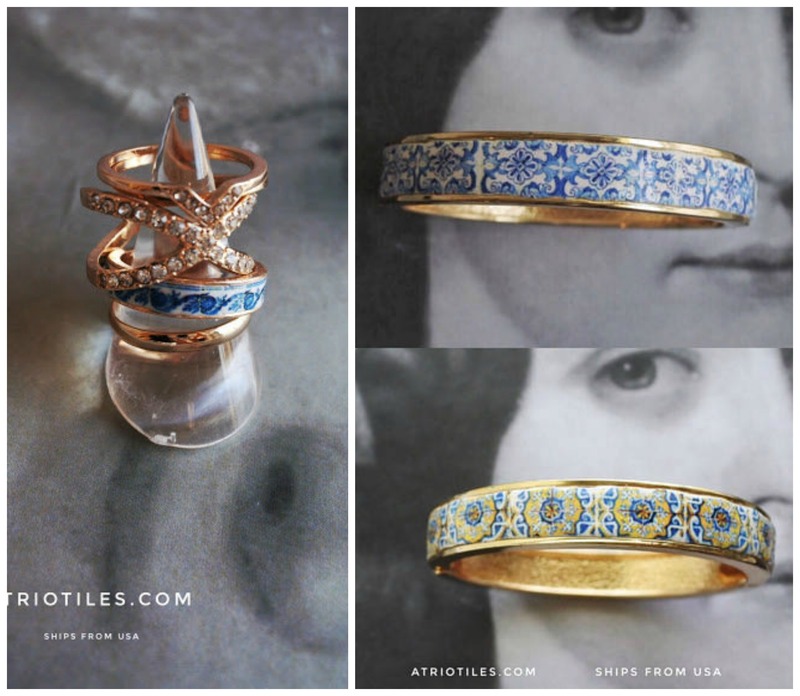 Some of Margaret’s Atrio jewelry collection. 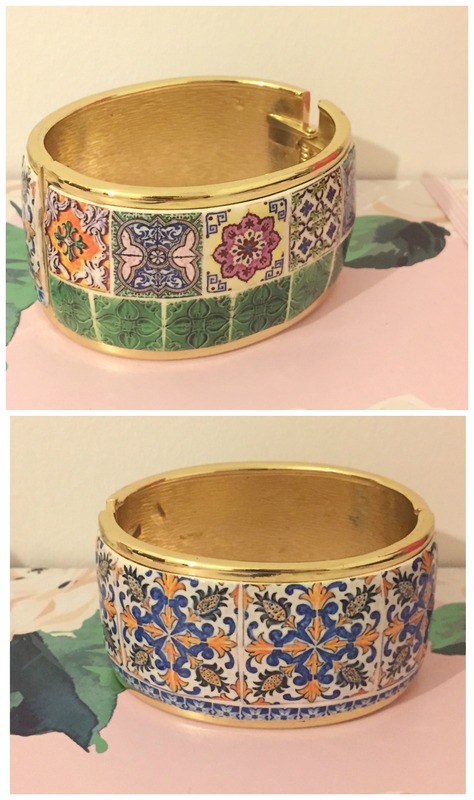 Top bangle bracelet a gift to me. 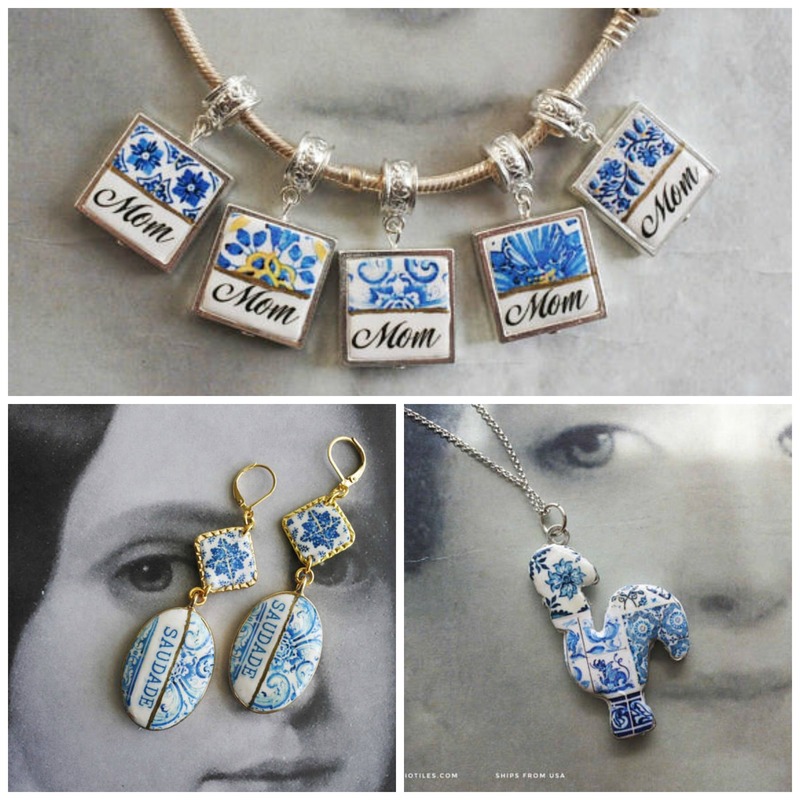 Add to your jewelry collection and wear a piece of history. 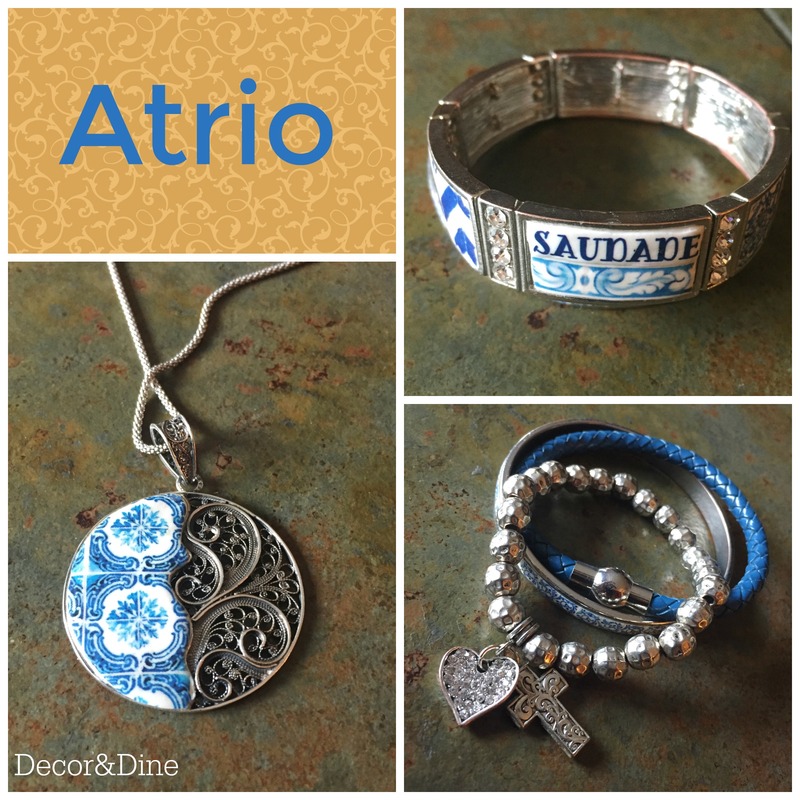 Shop online at Atrio Etsy or Atrio and follow Elizabeth on Facebook. Elisabete thanks for your comment. I have not had an issue with any of the jewelry I have. You can contact Elizabeth directly at https://www.etsy.com/ca/shop/Atrio and ask her opinion. I am sure she will be able to help you. I bought last year a bracelet that’s says Mom with tile not is starting to get black on the inside and the white of the tile is getting yellow. 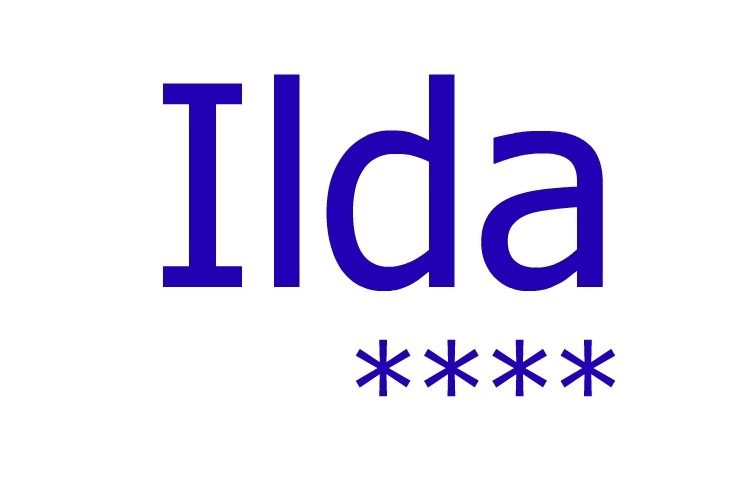 How can ai clean it? Thabk you. Crystal you can check out Atrio’s Etsy shop https://www.etsy.com/ca/shop/Atrio to see if you find something you like or on their website,https://www.atriotiles.com.